I’ve been working on an excellent shave soap recipe. The men’s grooming industry is booming! Men are starting to spend some serious dough on skincare products. Men are going back to wet shaving using shave soap and a shave brush! Benjamin has been wet shaving for awhile now, so it is time for me to make him some soap. 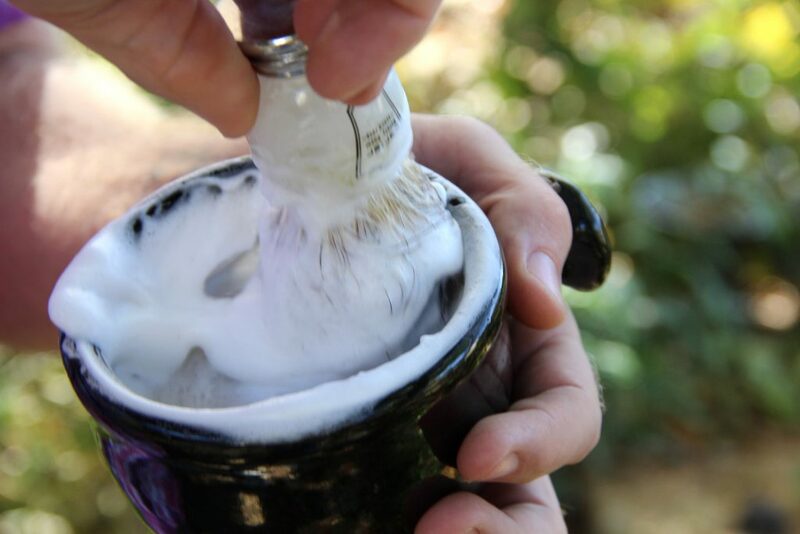 We love purchasing shave soap from others in our industry and have bought wonderful shave soap from Fairhope Soap Company, Breezy Quarters, and Soap Commander. 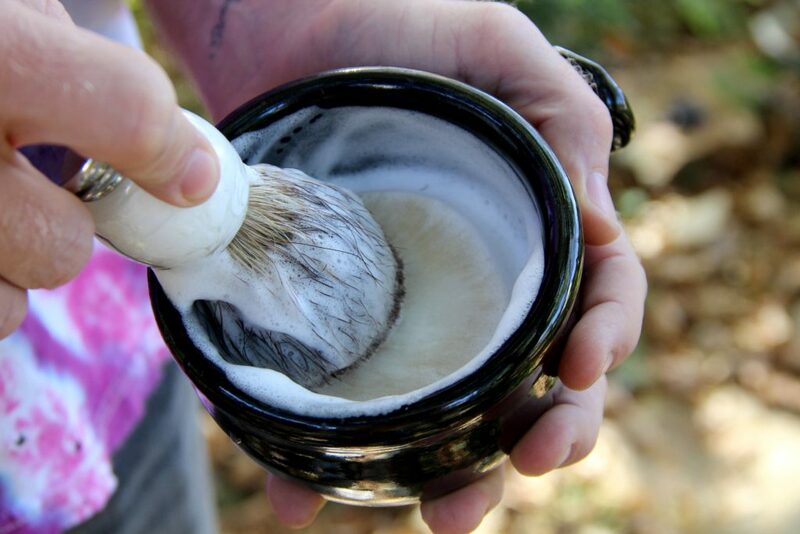 All create great artisan shave soap! Before we get started, I’ve got a free gift for you! It can be hard to come up with essential oil blends for the fellas! So I want to help you out! I’ve put together a list of essential oils for more masculine blends and then I share my favorite 16 essential oil blends for men! Enjoy! 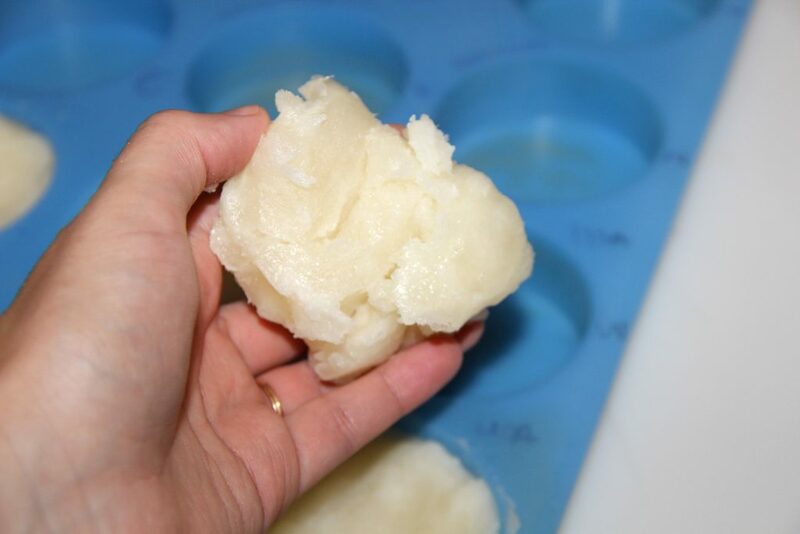 This shave soap recipe is made using dual lye. I used both potassium hydroxide (60%) and sodium hydroxide (40%). 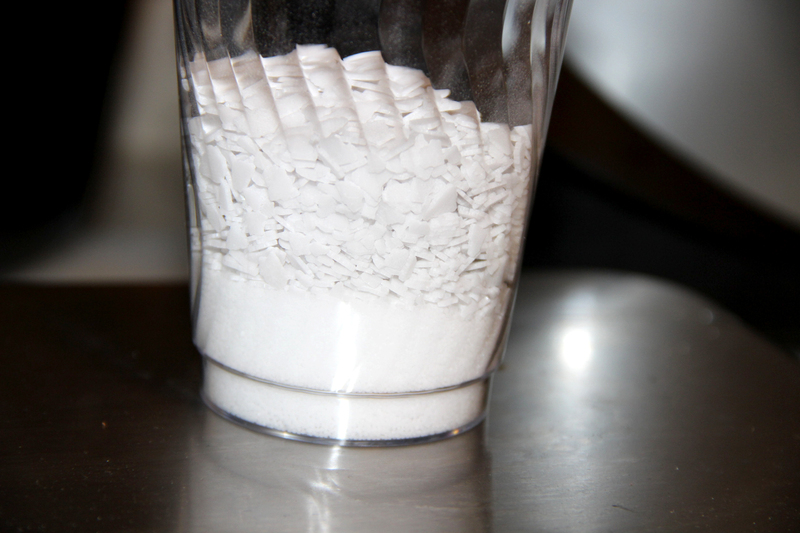 Potassium salts are more soluble than sodium salts. 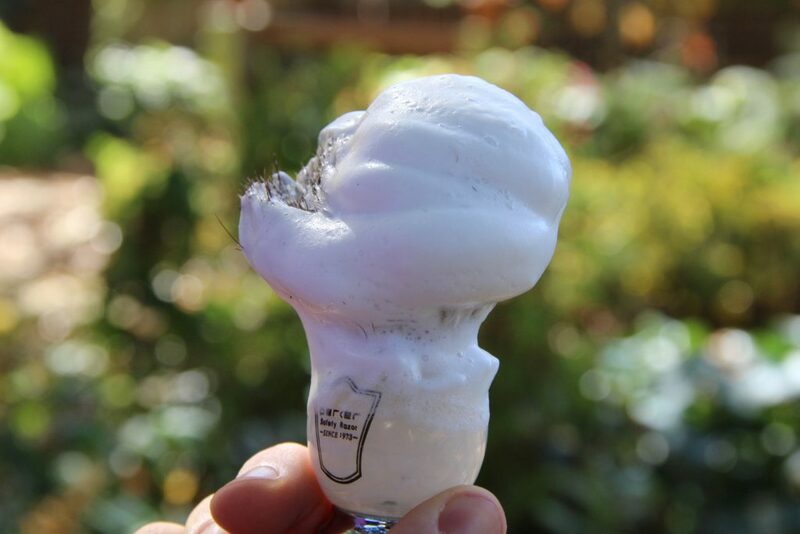 This contributes to a rich and easy lather buildup for shaving. 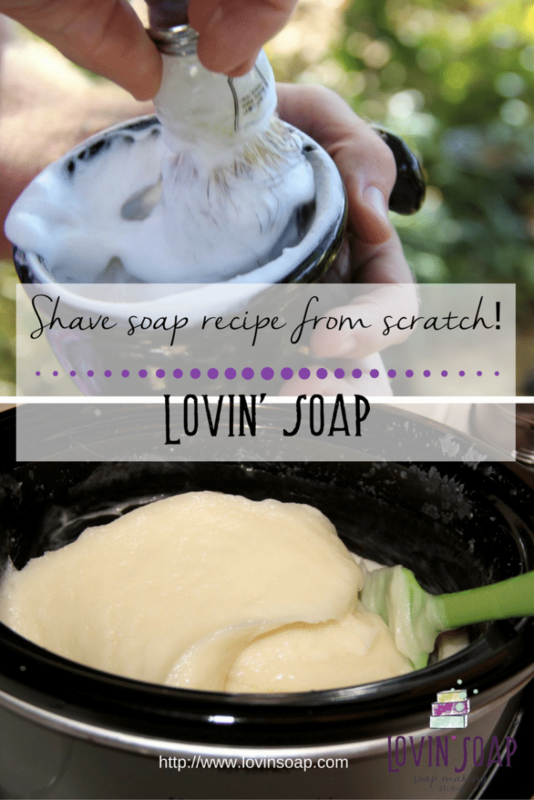 I did some research to formulate this shave soap recipe. Some of my favorite resources for research are wet shave forums like Badger And Blade. They are so much fun to read! People share lots of trial and error. It is fun seeing everyone’s shave of the day and to hear what they like and don’t like about a shave soap that they tried. At the end of the day, people like different types of shave soap. You might have to experiment to get your shave soap the texture that you want. 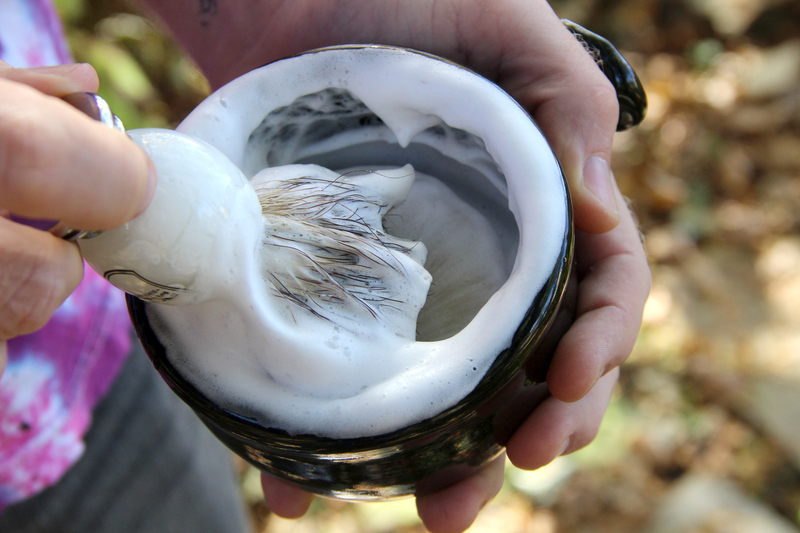 The ultimate goal when creating shave soap is to create a dense and stable lather. Don’t use olive oil. Olive oil’s lather is not ideal for shaving. I’m going to go a step further and say don’t use any other liquid oil (besides castor oil). Skip the clay! So many soap makers use clay in their shave soap for slip. I’ve learned that many serious wet shavers do not like clay in their soap. It can dull blades and just isn’t needed. Use high stearic oils and butters for most of the recipe. Stearic acid is excellent for the bulk of your recipe. Butters and tallow/lard are next. If you are palm-free, try soy wax, which has a high amount of stearic. 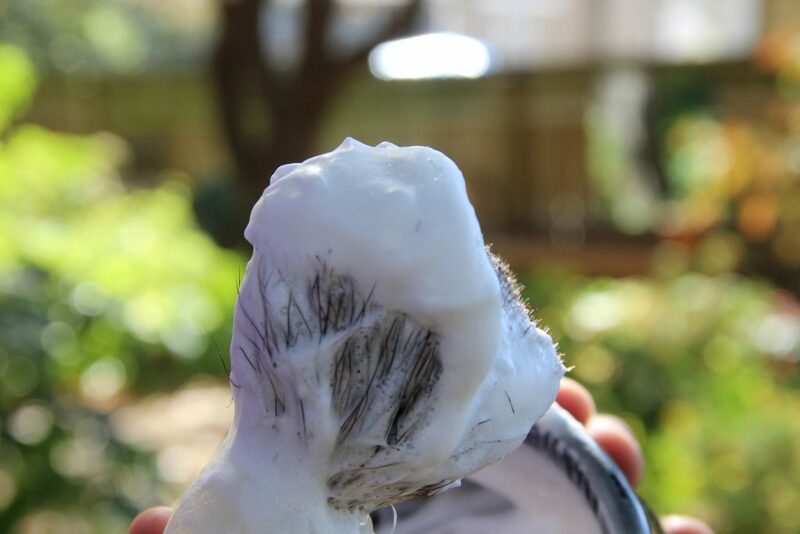 You’ll want lots of coconut oil to create large fluffy lather. Castor oil is great in shave soap because it creates a more soluble soap…same with glycerin. So using some of these rules and reading the INCI labels on some popular shave soaps, I created this recipe. I have a few more recipes coming soon including one with 100% KOH. I am in full experimental mode and hope to compare them all in a blog post coming in the next couple of months. 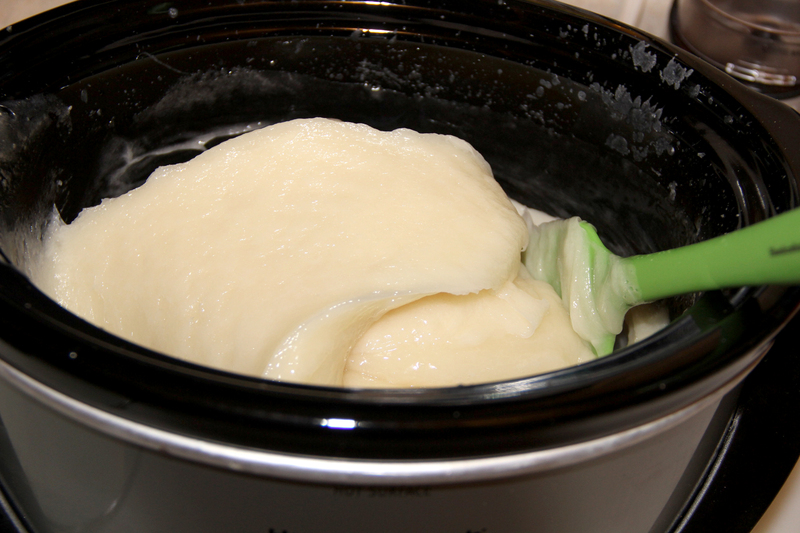 If you don’t like animal fats, simply remove the tallow and use more stearic/coconut/shea. Stearic acid is derived from palm oil and coconut oil and I know I have lots of followers who are palm free. Try subbing in soy wax. Most suppliers don’t specify if their stearic acid is from palm or coconut. I wish a supplier would source a coconut-derived stearic acid. Lush is trying to get their supplier to produce a coconut-derived stearic acid, so that is good news to us if it catches on. If you know of one, please post in the comments! I used a 5% superfat. Summer Bee Meadow has a lye calc that allows you to use both KOH and NaOH in a recipe. Stearic Acid – 8 oz. Coconut Oil – 8 oz. Sodium Hydroxide – 2.06 oz. Potassium Hydroxide – 3.10 oz. Lime Essential Oil – 1 oz. Cypress Essential Oil – .5 oz. Patchouli Essential Oil – .5 oz. 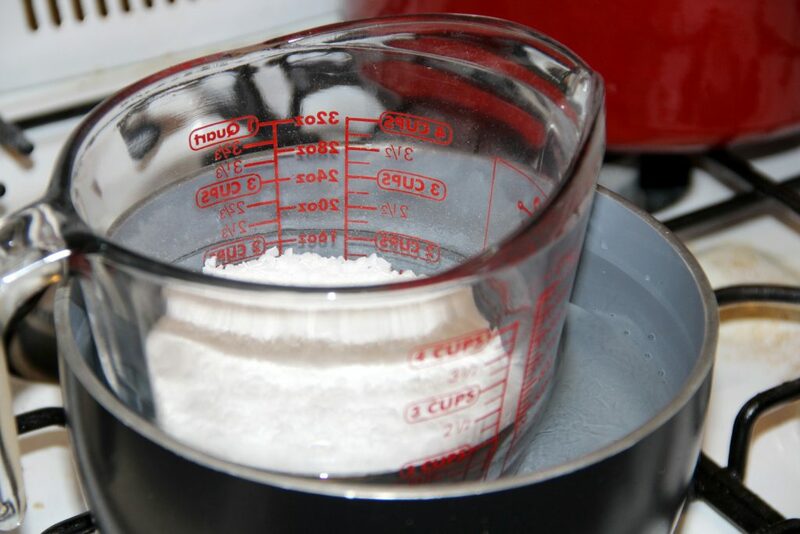 Step 1: Weigh out the stearic acid and set to melt using a double boiler. Step 2: Weigh out 25.8 oz. of water. Step 3: Weigh out both the sodium hydroxide and potassium hydroxide together. 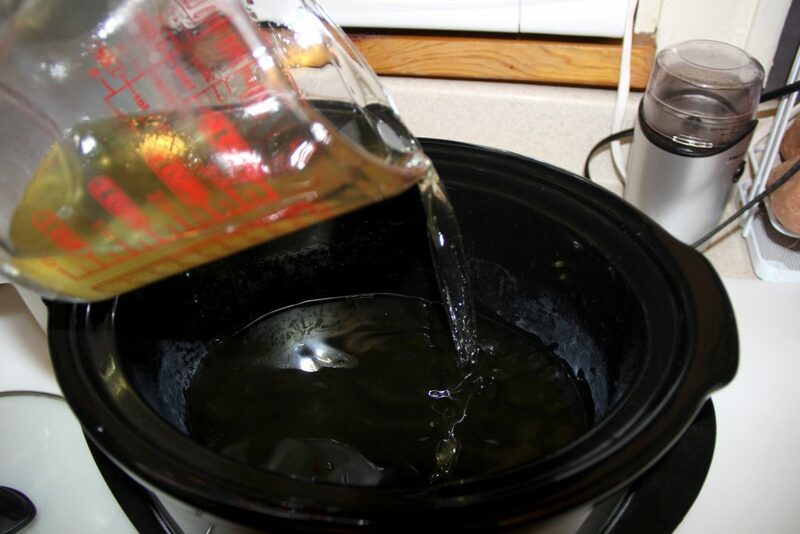 Step 5: Weigh out the glycerin and castor oil into a crock pot. Set on high to heat up. 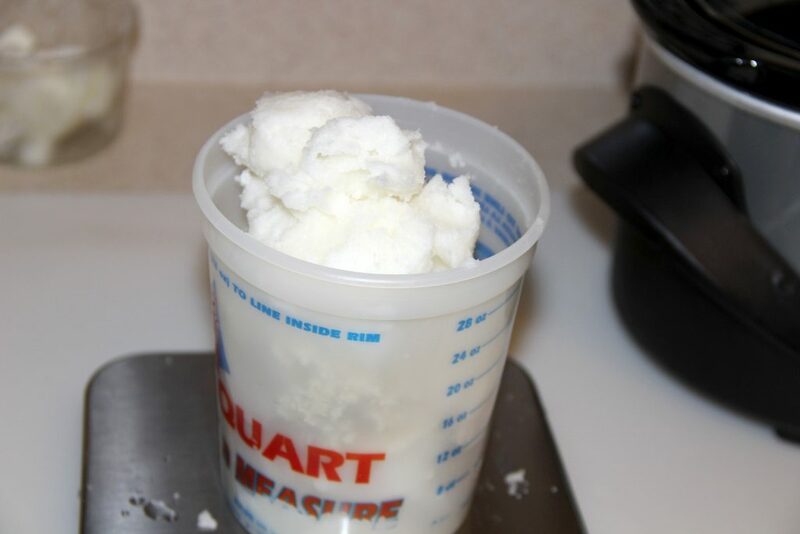 Step 6: Weigh out the shea butter, tallow and coconut oil. 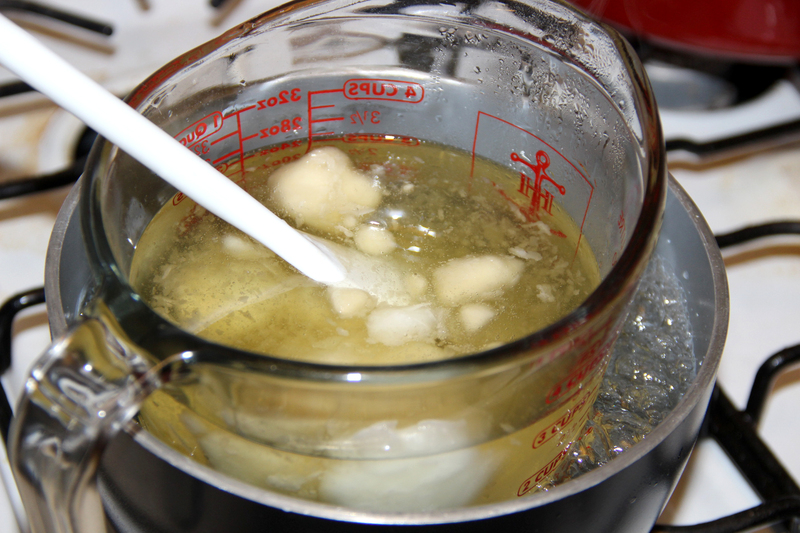 Step 7: Once the stearic acid is melted, add the solid butters/oils to melt. This lowers the melt point of the stearic and makes it more manageable to mix. Step 8: Once all of the base oils are melted, add to the crock pot. Mix. Step 9: Add your lye solution to the base oils. Step 10: Mix to trace. 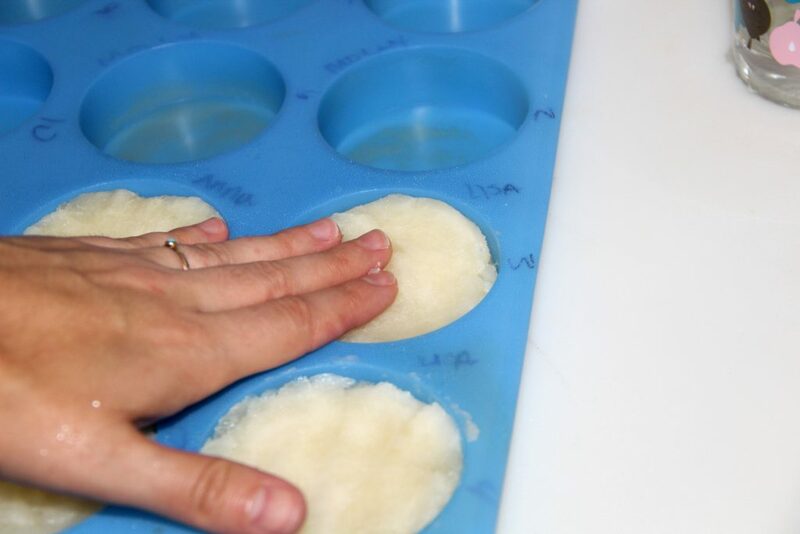 The soap will go through a couple of different stages while mixing. It will start out looking like applesauce. Then it will thicken up like mashed potatoes. Next, it will loosen up again. Last it will thicken up like taffy. 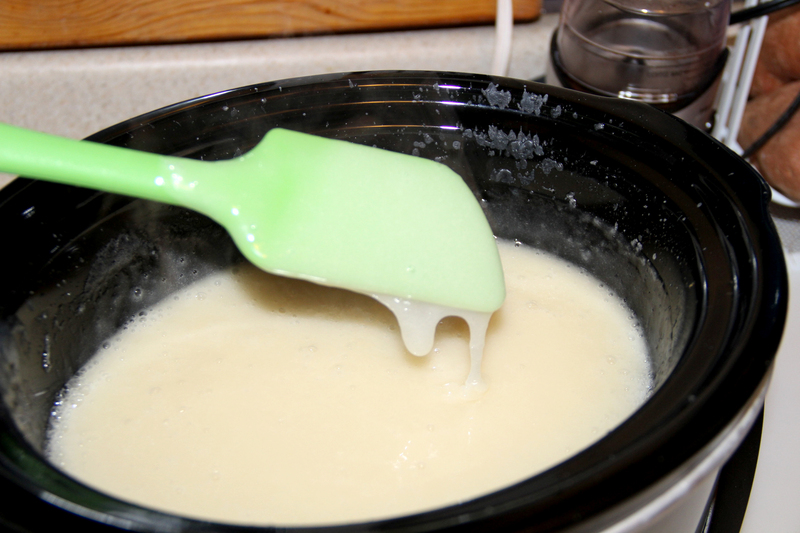 Once you get to taffy stage, let it cook until it is neutral. I tongue tested it to see if it is neutral. If you haven’t done that before, it is easy. 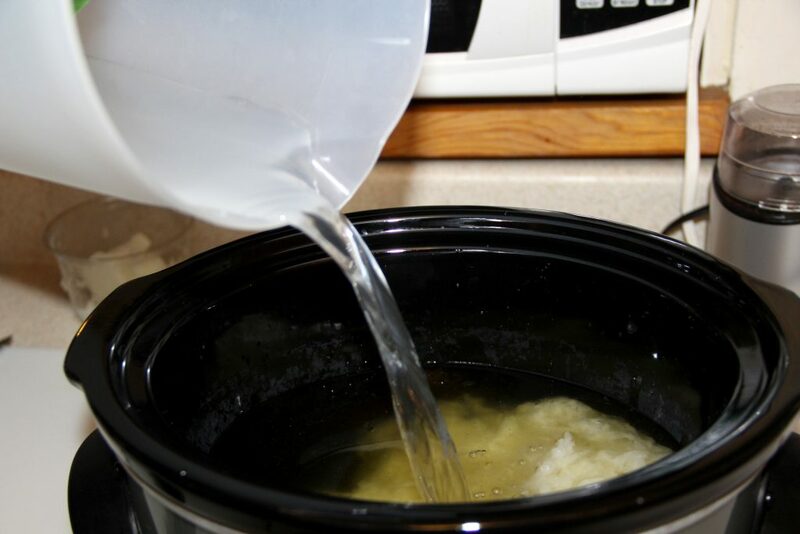 Simply take some soap out of the crock pot. Blow on it to cool it off. Touch it with your tongue and see if it zaps you. If it doesn’t, it is probably cooked to neutral. 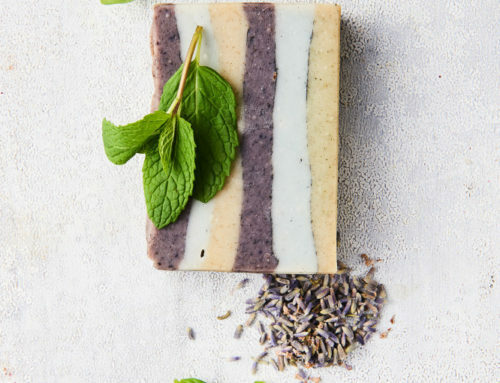 Step 11: Once the soap is neutral, add your essential oil and mix. My soap was super-thick! It was hard to mix in the EO. I just chunked and mixed and glopped it as best I could. The soap was definitely not pour-able at this point. I had to scoop it out into balls and flatten them into the mold. CAUTION: The soap can be very hot at this stage! I could touch it until I got to the very bottom where the soap was touching the crock pot. Use a spoon and glop it into the mold. Then you can use a cup bottom to smoosh it down. 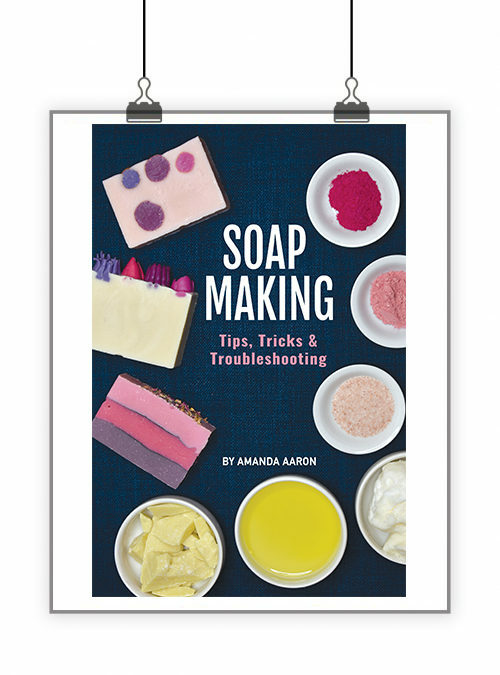 So how can you get more fluid soap? You can use more water, glycerin, yogurt…etc. However, it will take longer for the soap to cure. Don’t be afraid to experiment with different liquid amounts. 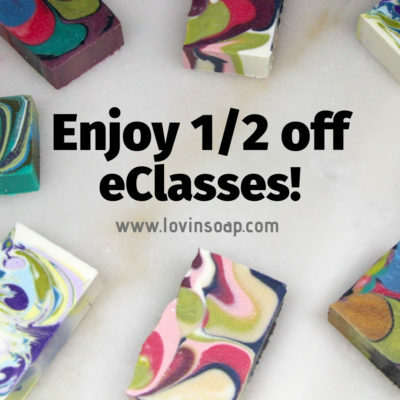 You’ll definitely want a more fluid soap if you are creating larger batches. I’m actually quite happy with this soap even though it was so thick when molding. It hardened up in an hour so I could unmold and set to cure fast. I plan to cure it for 4 weeks, but wanted to try it out after 1 week to see how it is doing! So I grabbed my husband and had him give it a go. He LOVED this soap. The lather was simply amazing and stayed forever. This is a recipe to add to my regular lineup. I think our shave soap turned out really well! I hope you give it a try. Don’t forget your free download! Did you enjoy this tutorial? Please share it on Pinterest, Facebook or Twitter! 🙂 Thank you! I can’t wait to try this recipe! One question – where did you find the pot that you put your pucks in? I love that type of ‘crock’ but have no clue where to find them. May I ask, how much SF? I think you mean Dual Lye rather than Duel Lye…. I have visions of the two kinds of lye battling it out with swords. Hello, a couple of questions: could I swap out all or some of the tallow and use lard instead? How might it be different…in terms of consistency or lather in that case? 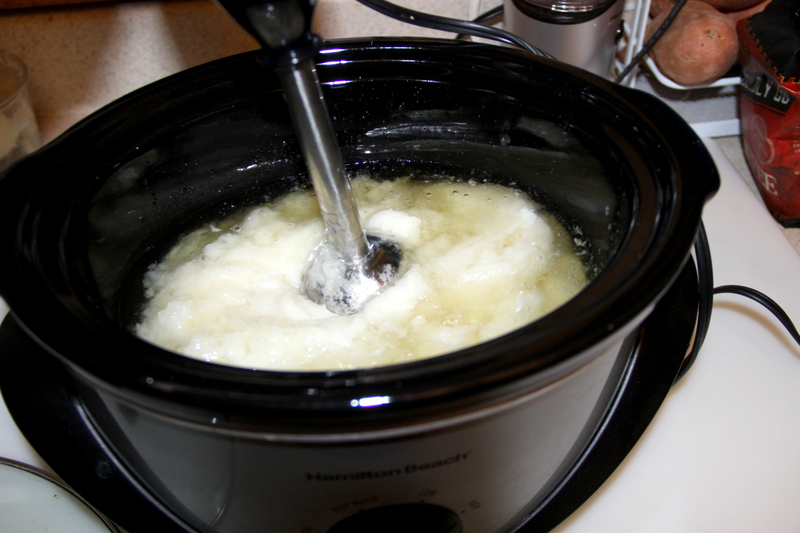 Do you keep a separate crock pot exclusively for soap making? do you use a digital cooking thermometer and keep it separate? Or will a good cleaning, suffice. thx. I wish the questions here would be answered. There are alot of good questions by people. I made this with all ingredients and measurements listed (I only had liquid sodium lactate, 60% solution) and it turned out great!!!! This is a phenomenal shaving soap! Thank you Amanda!!! I’m wondering how I can make this recipe a bigger amount? 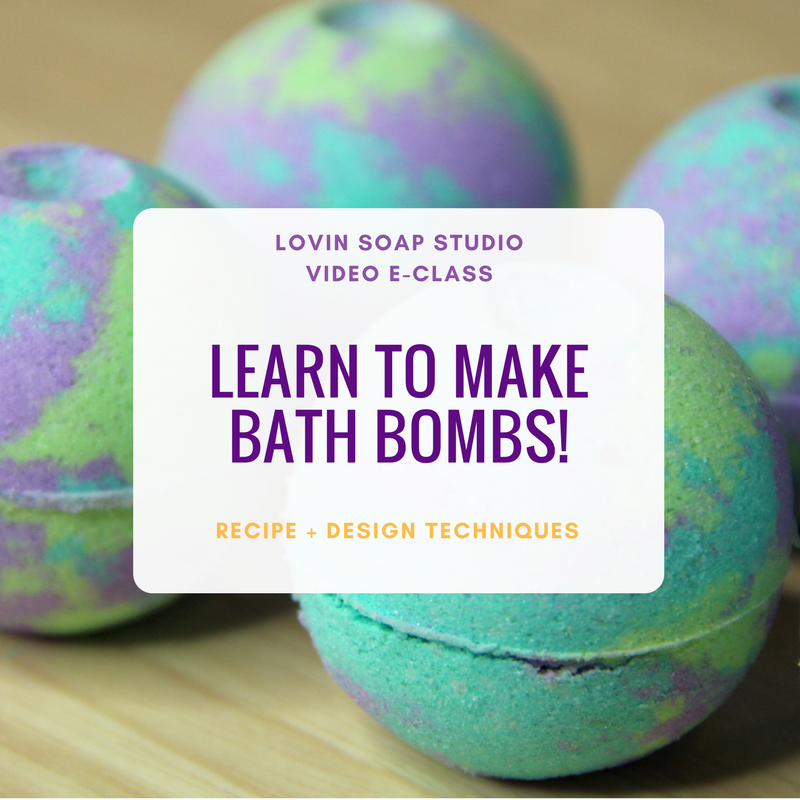 I ran it through a soap calculator to get the percentages so I can make adjustments but the water amounts are different in the soap calculator to the recipe in your blog. I’m not sure how to double or triple the recipe. Please can you help me out. Thank you. 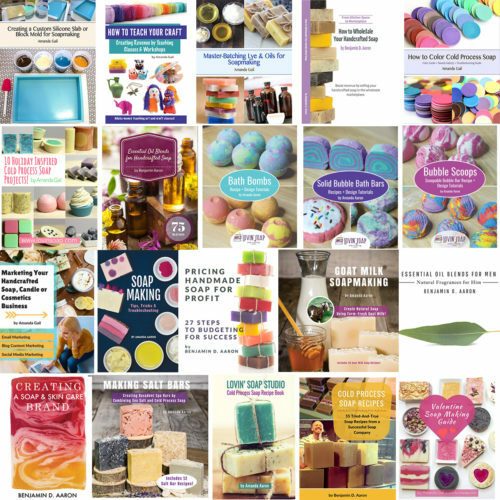 it amazes me the peeps on here comenting that say they are selling, but dont know basic soap making. i hate to tell ya ba tallow is about as natural as it comes. not vegan, but natural. steric comes from two sources, either animal or plant… it is what makes your hamburger grease get hard after you fry your burgers and let it cool. i understand being new, and asking these things, every one has to learn, happy to help teach ya even. so tired of so many that dont put in the time to learn there craft even part way, and are unwilling to look up for themselves, and learn any thing new… just give it to me and make it easy for me to make money. from some one that is proud of what i do, and the time i took to learn and ask questions when i got stuck, or needed a new direction, i am sad for those that dont care..
great recipe, cant wait to try it for yet another ‘taste’ of this to add to my experinces. This looks fantastic, and I plan to try it out as soon as I can. Lucky for me, I have a pasture raised whole animal butcher right around the corner from me, where I can buy small tubs of beef tallow. One question though, as a matter of personal preference, I’d like to use a different fragrance blend, ideally almond. Any suggestions on what to use? i cant find any tallow in my place. can i replace it with something else? like vegetable shortening? Hi I know I’m crarzy late but you can but tallow (beef) online @ essentialdepot.com. I’ve used theirs and it nice. You can even go to your local butcher and ask for fat trimmings to render the tallow yourself. Looking forward to making this recipe. Thanks so much for posting! But please, please, please, can you make your posts available in a printer friendly format? Hi – thanks for the article, this looks simple enough for even me lol. Any idea how I’d recreate a sea salt scent? I’ve been on several Disney cruises and they have a sea salt shampoo that has an unbelievable scent. I want my face to smell like that! Thanks for the recipe! Can goats milk be used in place of the water? I would love to use our goats milk in it. Can you use “bee’s wax” rather than soy wax?? I haven’t tried that. Beeswax really kills lather, so I don’t think it would work. Thank you for sharing your recipes and knowledge with us! Question though – I have tried 3 different lye calculators and I can’t seem to match your amounts for KOH and NaOH with any of them. Can you tell me what the superfat is for this recipe and recommend a lye calc? Thank you! 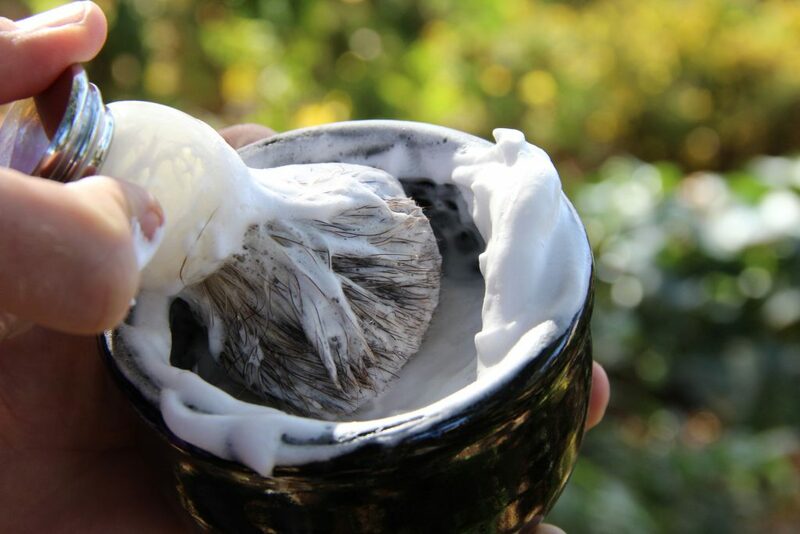 I have made a shaving soap once before and it worked well. My husband loves it and wants me to make some more. I am going to try your recipe and wanted to know what you thought about adding Tussah Silk and maybe Lanolin? Maybe menthol crystals? are there any negative effects from using aloe instead of water? Will there be a CP version recipe of your shave soap?? I haven’t tried those additives, but I don’t see why they wouldn’t work! Good luck! Hi! This will be my first time making shaving soap and hp soap. I was wondering if I could use Goats Milk in replace of water? How long do you cook it for? I’ve been cooking for a hour on low and still have not reached the taffy stage? I’m having the same problem. I’ve been cooking it on low for an hour and blending it on and off but it never reaches the taffy stage. 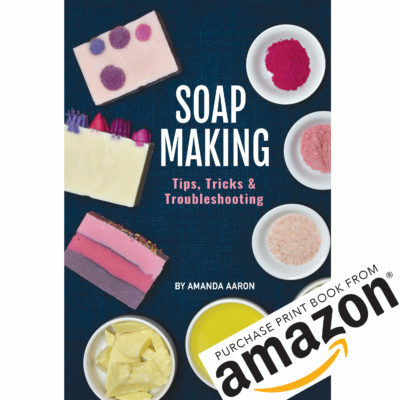 I am making a bigger amount and have run it through a soap calculator and followed the directions here. I’m not sure what would be wrong. Can you help? I tried this today and was able to spoon it into Pringles containers, banging the can on the table after every three scoops. Worked great and it is the same diameter of the bowl my friend uses. Thanks for the recipe! Could you substitute the stearic acid with something else?? And if you allow the pucks to dry or cure doesn’t that take away any lather capabilities?? Just curious Amanda if I can substitute the stearic acid and sodium lactate or leave them out? 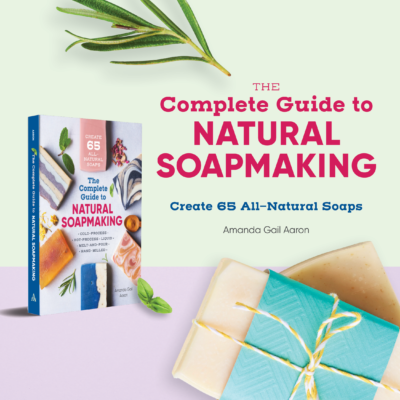 I sell my soaps as all natural so I’m not sure those ingredients would fit into my branding. I’m really wanting a good Shave soap though! I just made this, and tested a bit of what I scraped out of the crock pot before cleaning it up. The lather was amazing. My hands felt soft and smooth after using it. I can’t wait to have my husband try it for shaving. Hopefully I have finally found something to get rid of the canned crap he currently uses. Lol. I used aloe instead of water. That was the only change I made. The superfat is simply added to the batch with all the oils. No need to save it for adding last. Just a matter of preference. You can add it at the end if you want. Just made this EARLY this morning and I LOVE IT! Thanks for the great recipe and step by step. I told my husband that he won’t go back to foam in a can ever again once he tries this. 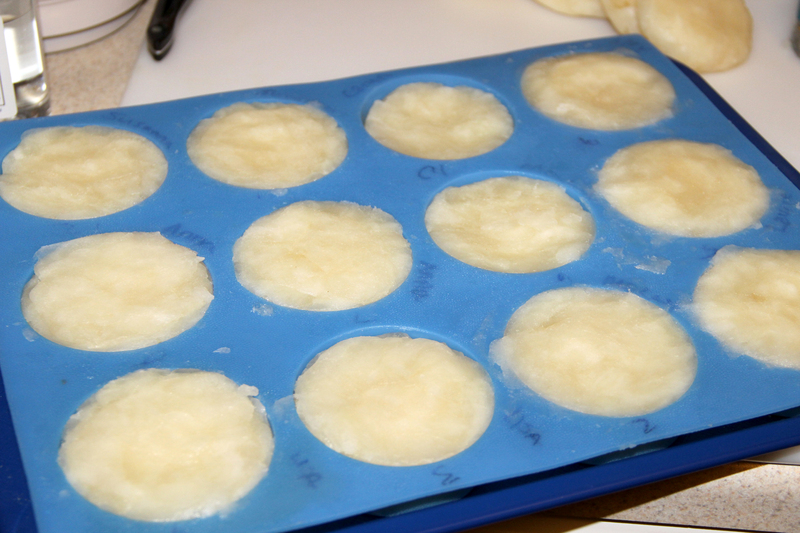 I have many ‘pucks’ curing now and only tried a small scrap because I COULDN’T wait, lol. I pinned to my “for men” board on Pinterest, thanks again. This will be gifts for my sisters as well as hubby and sons because my legs felt so silky smooth after using it. Hi, Amanda, thanks for sharing. I love your posts!! 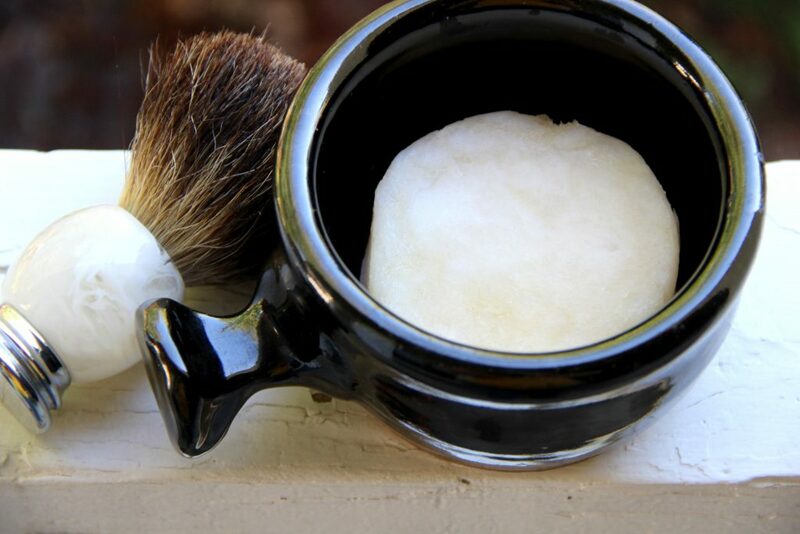 I have been asked to make an old fashioned shave soap in a stick form. Would this recipe work? Yes you can! I would recommend putting your crock pot on lowest setting to cook. I really enjoyed this. I really look forward to the CP version and no Tallow use. Thank you for all this sharing! But why the dual KOH and NaOH. what does ti offer to the consistency. So from what I understand, the dual use of both Sodium and Potassium lye is common with shaving soaps. 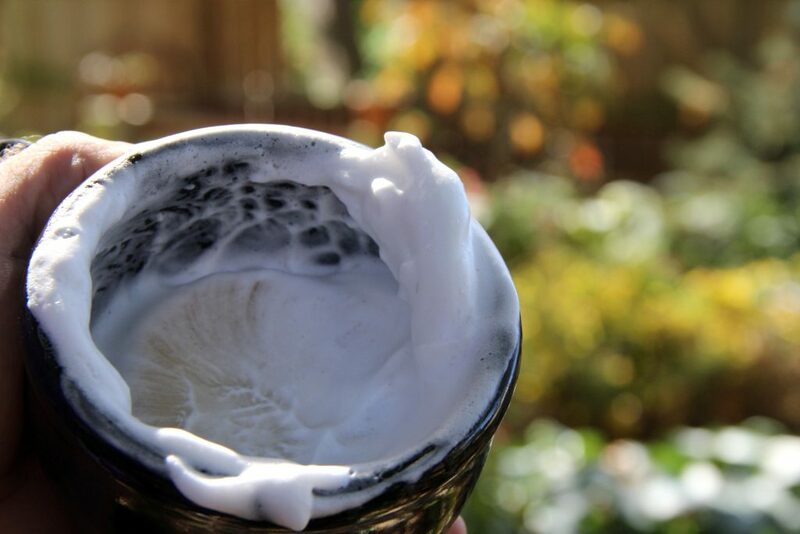 KOH provides a dense and stable lather, but you end up with a very soft soap. 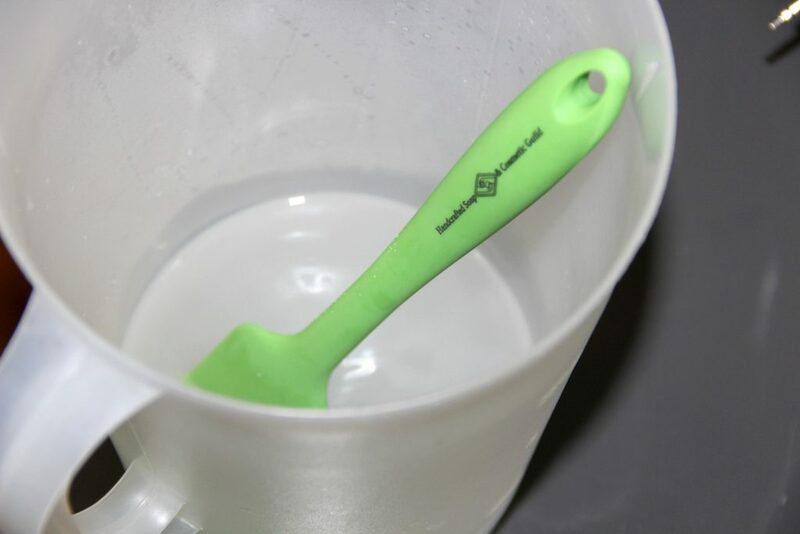 So they also use NaOH, to make a hard soap that can be handled and stored easily. HI. 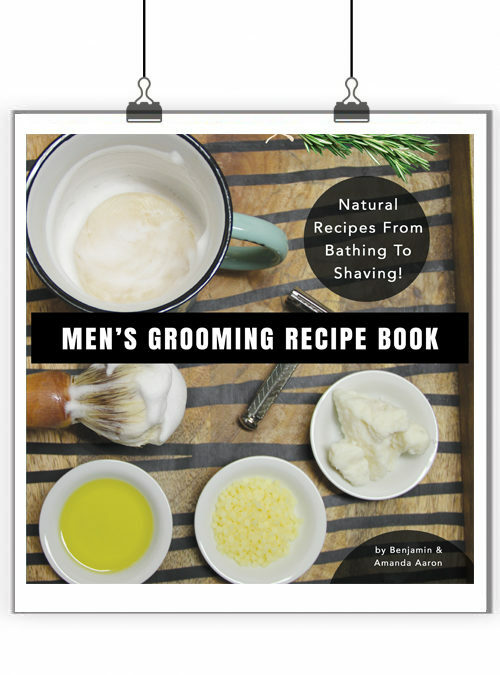 thank you for sharing the shaving recipe. I’ve made some shaving soap before using clay, it had a nice slip but the lather wasn’t that great. Anyway, I was excited to make your recipe because it looked so lush. After making two trips to the supplier and spending a bit of time converting imperial to metric(I’m in NZ), I was all set to go. I then realized I didn’t have any sodium lactate. Dilemma!!! do I omit or substitute and then what could I use. After spending way to long on research, I finally settled for lactic acid. I used 10g which i blended with 20gms of my water allowance. I added it to the warm oils before I added the lye mixture. The paste went through all of the stages you mentioned, now it’s the waiting game, fingers crossed. Hi Sally (I’m also in NZ!) wanting to give this a try and curious how it worked using lactic acid instead of stearic? When you say Glycerin, is it liquid vegetable g like the one I use on lotions or is it melt and pour? Also, let’s say I’ll sub tallow with palm< do I need to recalculate? Great questions! yes, liquid glycerin. Hi! Thank you for this recipe. I made it last week and put it in Mason jars to gift. I’m a little worried because it didn’t get as hard as your soap batter did before I put it in the jars. I zap tested it and the soap was done, but still a taffy like consistency after a long cook. Did I do something wrong? It’s dry in the jars, but just wondering I may have missed a step if it stayed taffy like. Hi Nancy! Actually I think you’re fine. A few people have done the same and it worked out. Yay! Thank you! My husband really likes this recipe! He gets to try all my recipes first. I love your site too! When you say to sub Soy Wax, do you mean soy candle wax? Where can I buy the soy wax you recommend, online? I’m getting my ingredients ready to make this and am excited! Yes, same as what you would use for candle wax. I think wholesalesuppliesplus.com has soy wax. Candle Science has it also. Some soy waxes are mixed with other oils to make it have a lower melt point, look for 100% soy wax. This is exactly what I was looking for. My husband will love it! He thought I was crazy when I asked him to save me all the fat trimmings when he helped me process some beef. This will be the perfect thank you for the tallow he helped me make. Thanks for sharing. Made this a week ago and tested it today. I love it and can hardly wait for the rest of the curing time. Thank you so much for sharing! Can you make in a normal pot if you don’t have a crockpot/slow cooker? Will pH strips work to test the levels if you don’t want to use your tongue? Yes, you can use a double boiler type of setup. I don’t use pH strips as I don’t think they’re accurate with soap. The tongue test is super easy to do and very accurate. This is great! I have been playing around with a shave bar recipe and not happy yet. Will def give this a try! Do you have a good source for the shave bowls and brushes to put together Christmas gift sets? Thank you! We always bough shave bowls from local artists. Maybe you can partner with a local artist? Great article! Two questions: Can this’s be made cold process? Would Aloe liquid (not gel) work better for sensitive skin? I haven’t tried it as a CP soap. It gets thick super fast. Aloe liquid would be great! 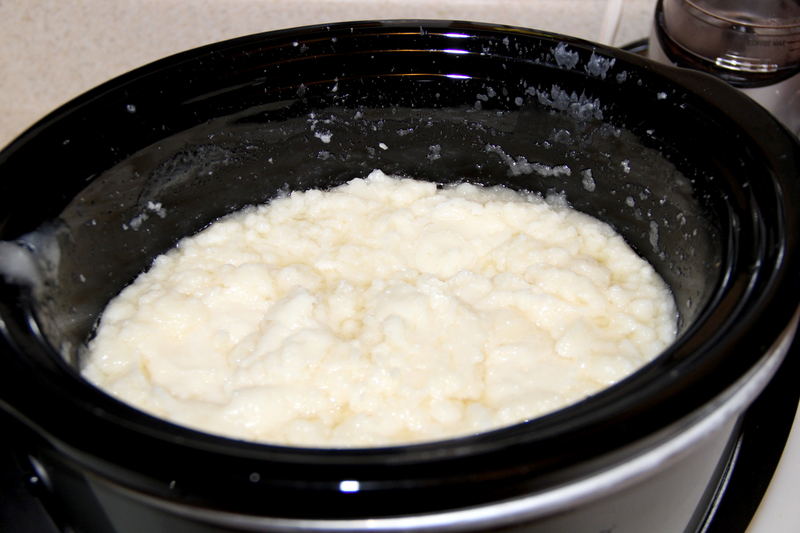 Will lard and tallow have the same values, or should I re-run the recipe? I would re-run it through a lye calc, but I’m thinking it will be super close. Amanda since Palm Oil has also been called veggie tallow can it be substituted for the tallow you used ? Love that lather! 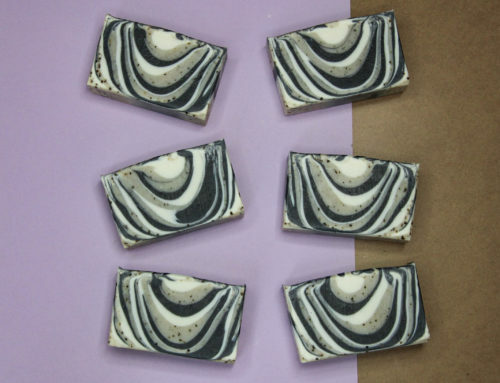 Can this recipe be done as a cold process soap or only as a hot process soap? I haven’t tried doing it as a cold process soap. It gets thick really fast so you’d have a small window to pour. Your mention of Fairhope Soap Company reminded me how little I know about my area. Then again, I don’t go across the bay that often. If you’ve never been to Fairhope, it’s a charming smallish town. Thanks for sharing a great experiment. I loved that you used both potassium & sodium hydroxide. The lather looks amazing! 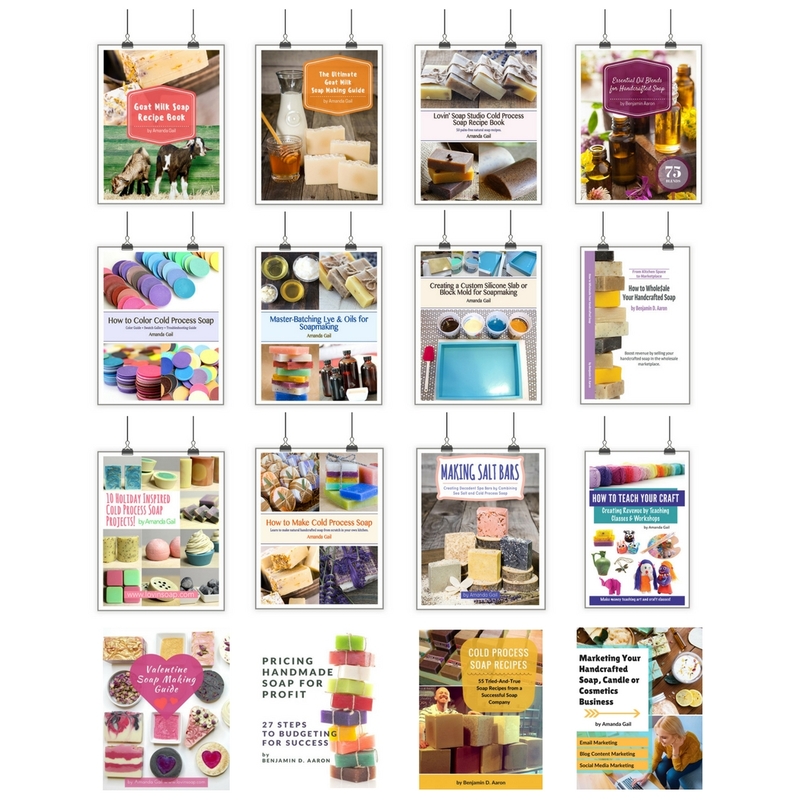 Thank you for including us in your article and for supporting fellow artisans.